She is an architect and an interior designer. Her natural curiosity about innovation, her research on materials and technology, and her deep observation of the world, allow her to work as a designer in very different fields. In fact, she has been working for prestigious companies, such as Teuco Guzzini, Effegibi, Foppapedretti, Fantini Rubinetterie, Poltrona Frau, Provex Industrie, Fratelli Guzzini, Fornara e Maulini, Luceplan, Rapsel, Viasat, Ferrarelle, San Lorenzo, Domo. She has been selected three times for ADI Design Index, three times for the Compasso d’Oro, and she won four Design Plus prizes. Currently, apart from developing design projects, she supervises cultural events, she works as an adviser for various fairs, she is host and guest of TV talk shows on design, and she is professor at universities and schools of design. 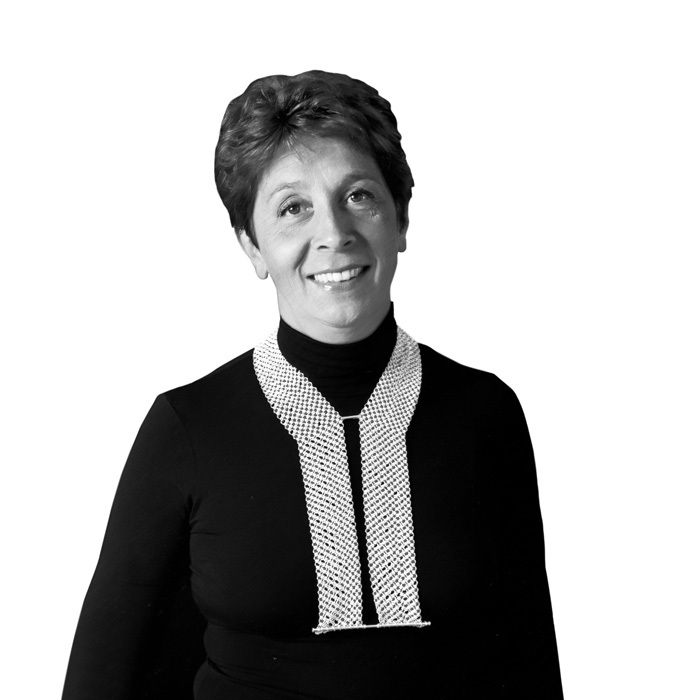 Since 1979 she has been a member of ADI (Associazione per il Disegno Industriale), and since 2004 she has entered ADI’s National Board of Directors. She was also a member of the first Italian Design Council.